Arrive in Dublin. Your tour starts at 2:00 pm from your hotel when all participants join a local guide for a tour of ancient and modern Dublin. Drive through the main streets to see historic buildings such as Trinity College, where the Book of Kells is housed; rows of Georgian houses with gaily-painted doorways and the new buildings around the Financial Centre beside the River Liffey. Take a guided tour through parts of Dublin Castle, which was the seat of power and government for many centuries and today plays a leading role in European Union activities. 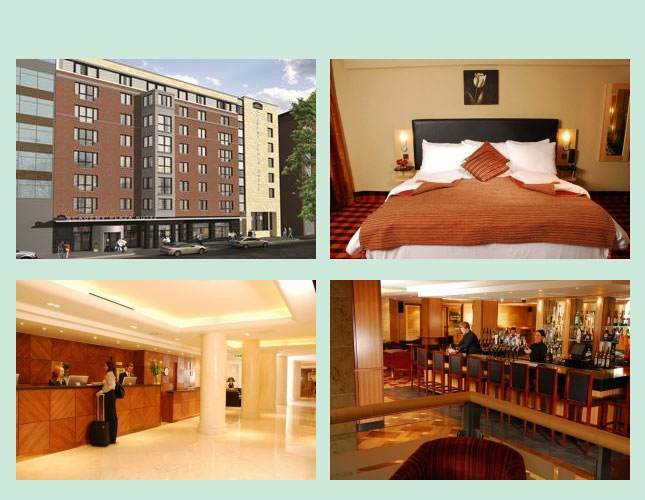 Return to your hotel for a get-together with your tour group and a welcome drink. 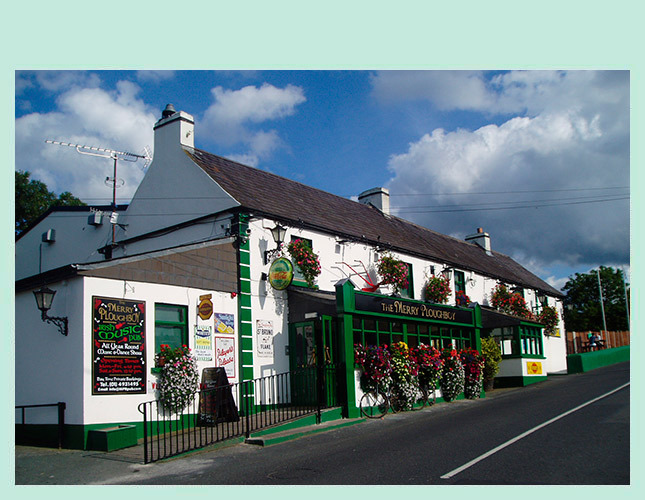 In the evening head to the Merry Ploughboy Pub for a great dinner of Irish specialties and a lively show with popular Irish songs and intricate step-dancing. 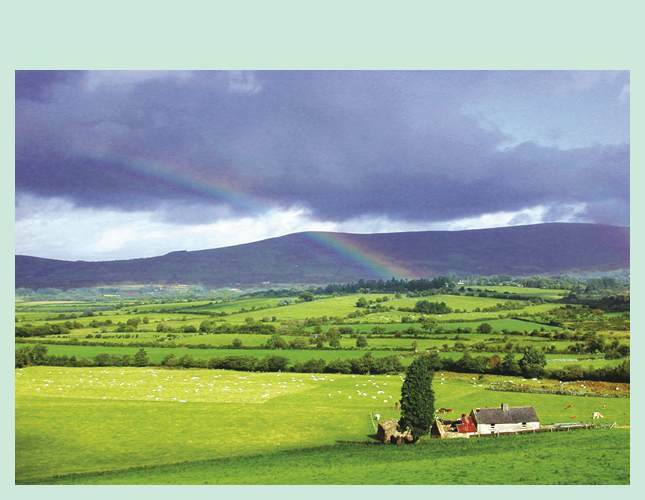 Depart Dublin and travel through the midlands of Ireland, which has many mixed farms. Stop for photos of the stately ruins on the Rock of Cashel, rising high above the surrounding plain. 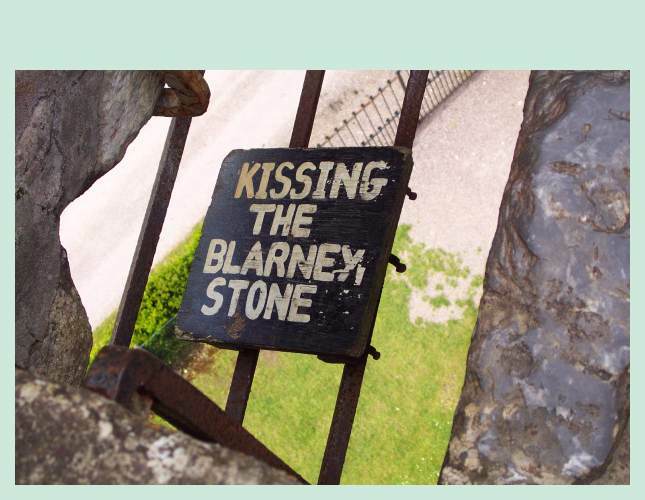 Continue your drive south and, just a few miles outside Cork, visit Blarney Castle to kiss the famous “Stone of Eloquence.” Also visit the Blarney Woollen Mills where you can find quality Irish made goods of all types, conveniently displayed under one roof. Drive through Macroom, built around a fine castle, and into County Kerry where the scenery becomes more mountainous. Arrive in Killarney, picturesquely set beside lakes with Ireland’s highest mountains, the Macgillycuddy’s Reeks, forming a backdrop. Check in to your hotel and relax before dinner. Today embark on Ireland’s most popular scenic drive of 100 miles – the Ring of Kerry. This winding route reveals breathtaking sights of the Macgillycuddy’s Reeks as well as coastal views of beaches and cliffs. As you travel along, there will be plenty of stops for photos at the best vantage points. Drive through the village of Cahirciveen and cross to Valentia Island by bridge where you’ll visit the Skellig Experience. Learn about the off-shore islands where early Christian monks lived in austere conditions and how they were used as one of the locations for “Star Wars VII” movie. After a casual lunch in a cozy restaurant continue your scenic drive. Pause for a stroll around Sneem, with its brightly-painted houses and again at Moll’s Gap for panoramic views of Ireland’s highest mountains and deep valleys. 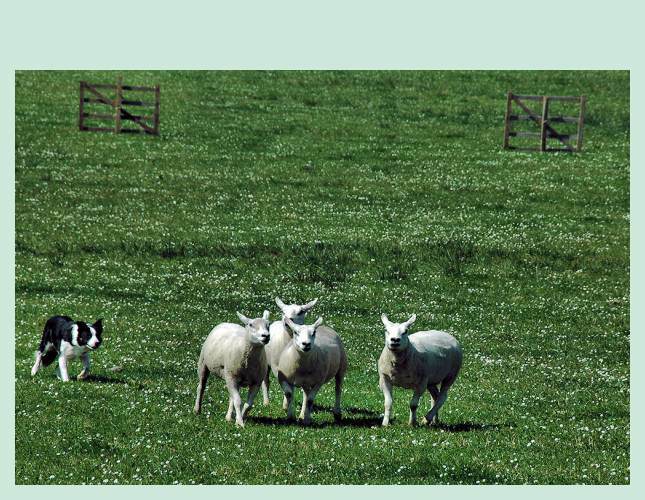 Get a taste of farm life with a sheepdog demonstration of herding flocks, a shearing demonstration and see different breeds of sheep. 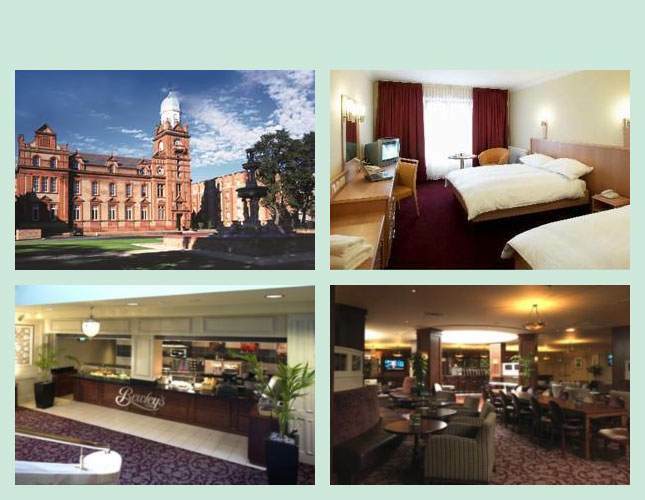 Return to Killarney and enjoy a free evening for independent dining or exploring the many pubs in the town. Leave Killarney and drive north to Tarbert for a 20-minute ferry ride across the wide River Shannon Estuary. 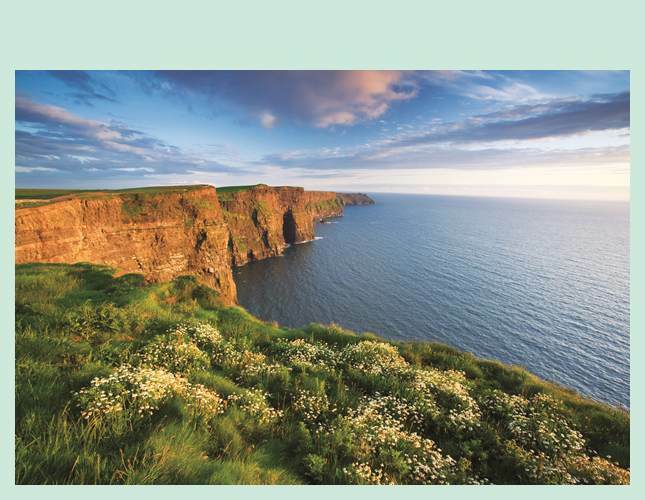 Your tour continues along the Clare coast to the Cliffs of Moher, a spectacular wall of sandstone that reaches to almost 700 feet above the Atlantic Ocean. 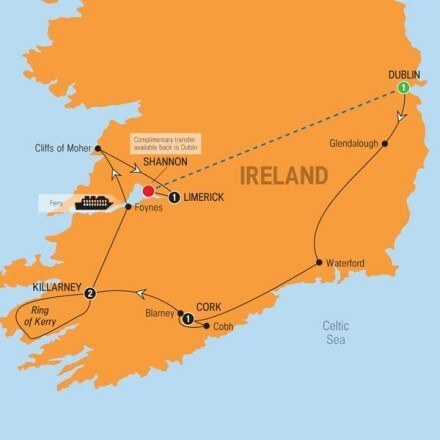 Drive past Lahinch Golf Course, one of Ireland’s most famous, and through the marketing town of Ennis to Bunratty. 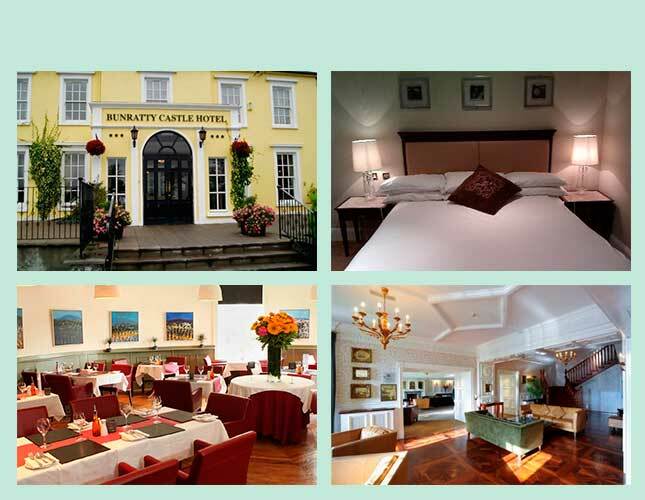 Check in to Bunratty Castle Hotel, which is located close to Bunratty Castle and Folk Park. 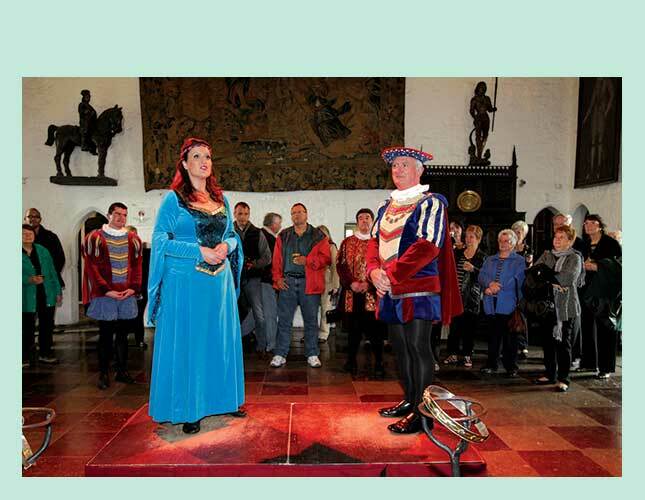 In the evening head to Bunratty Castle for a memorable experience in a wonderful setting with good food and entertainment. Take your place in the Great Hall for a medieval-style feast of excellent dishes and plenty of wine. During and after the meal the lords and ladies will serenade you with song and harp music, evocative of the Middle Ages. Drive north to Galway city for a panoramic tour and take some time to look around the city before traveling out along the famous Galway Bay to Spiddal where the locals still speak the Irish language. Then drive across the rugged boglands of Connemara to Moycullen to visit the Connemara Marble Factory. See how locally-quarried marble is made into attractive products and enjoy tea and scones. 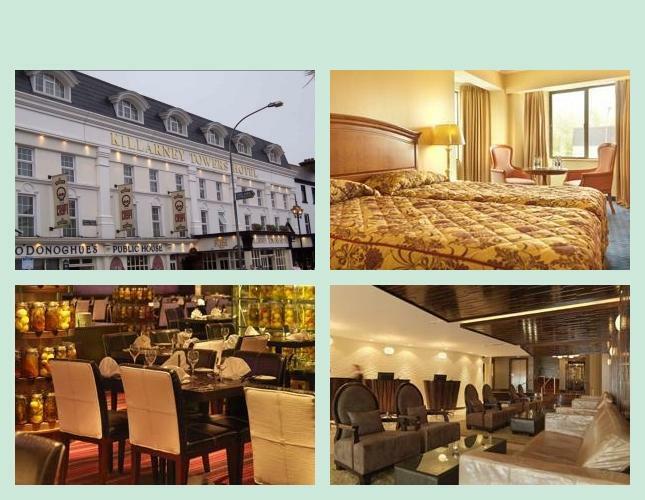 Travel across the country to Dublin and check in to a different hotel. This evening you are free to spend the final night of your tour exploring the pubs in the lively Temple Bar area or experience one of Dublin’s fine restaurants.